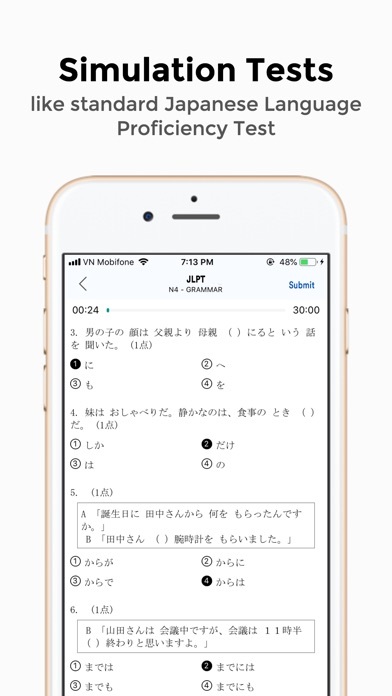 You have a Japanese-Language Proficiency Test (JLPT)? You don't have time to prepare for the exam? 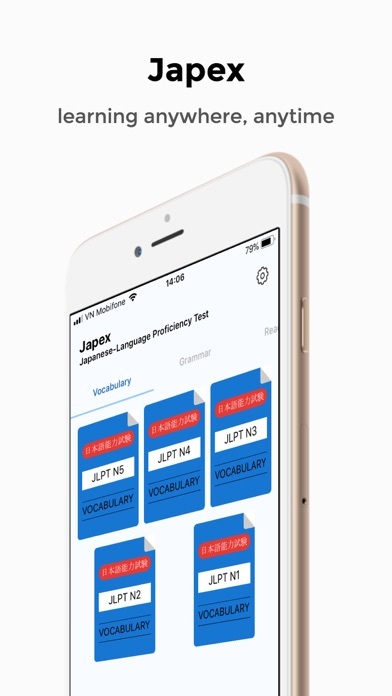 All can be easily with "Japex", you can try it at anytime and anywhere with your iPhone/iPad. Applications is indispensable for those taking the Japanese exam. - With a friendly interface, designed in accordance with the exam latest models, clear picture, good sound. - The tests will be updated after each exam. 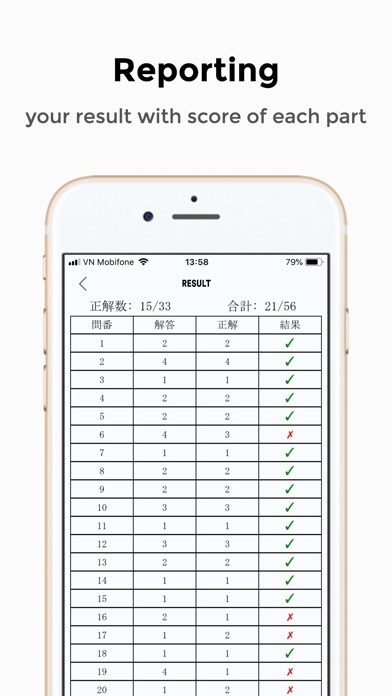 - After completing each test, you can view the results (number of correct answers, points, levels, tables answers ..) - The application is designed to target the your desire level: + Vocabulary: Level N1, N2, N3, N4, N5. + Grammar: Level N1, N2, N3, N4, N5. + Reading: Level N1, N2, N3, N4, N5. + Listening: Level N1, N2, N3, N4, N5. 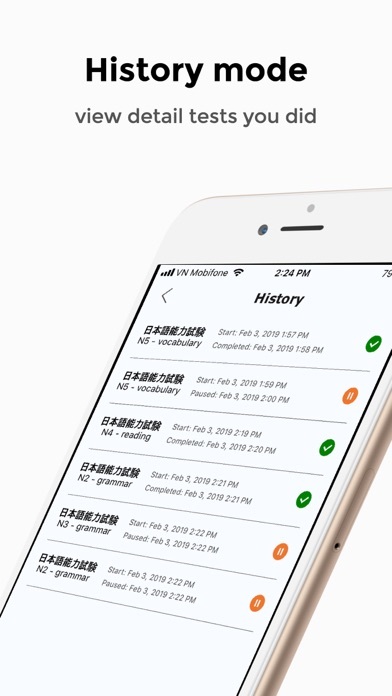 - Japex will help you study Japanese better everyday.